There’s something you may not have noticed about Kids Party Characters. But if you’ll look closely at our website, Facebook page, or Instagram feed, you’ll discover that we’re not just Kids Party Characters, but Kids Party Characters Global. And the “Global” part of our name is very intentional. When owner Cheryl Jacobs first founded Kids Party Characters, her vision was not just to bring unique, quality entertainment that kids would remember forever to the New York/New Jersey area, but to make her company truly global. We live in different parts of the country and the world, have different languages, customs, and skin colors, but one thing all kids share in common is a love for fun and laughter. 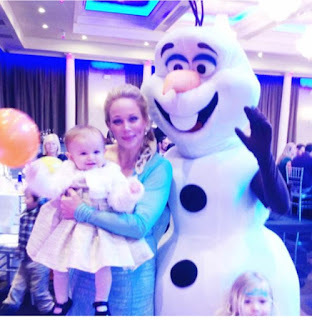 Cheryl recognized this from the beginning and saw that when it came to children’s entertainment, there was no one anywhere providing the totally magical experience that would leave kids with lifetime memories of their parties. Once she had her business up and running close to home, Cheryl began to travel the country and the world, seeking other like-minded entrepreneurs who were passionate about providing quality kids entertainment. One of Cheryl’s stop was at the Houston, Texas franchise show, where she met Chevonte Marshall. Chevonte is a single mom with a beautiful five-year-old daughter. The Kids Party Characters opportunity grabbed Chevonte’s attention because of her experience trying to hire a princess to come to her own daughter’s party. Unfortunately, she couldn’t find anyone available to provide the perfect celebration she envisioned for her daughter. Chevonte committed to do something about this, and we're happy to announce that she's the newest member of the Kids Party Characters family and will soon have her very own Kids Party Characters business in Houston, Texas. Having her own Kids Party Characters business is Chevonte’s way of making sure no other family experiences her frustration and disappointment. Chevonte’s deep in setting up her business and getting training right now, but look for her grand opening soon, as one of the upsides to owning a license to Kids Party Characters is we have everything in place and ready to go for you. Another great thing about Kids Party Characters is that it’s one of those rare opportunities to fill a need that’s clearly out there but that no other company is meeting. Usually, starting a successful business means entering a crowded market and fighting to win customers from other established businesses. With Kids Party Characters, Cheryl has created such a unique experience that as a member you’ll be able to offer potential clients features that no one else has as your unique selling points. What exactly do you get with a Kids Party Characters membership? An exclusive territory in which to book parties. We won’t be allowing any other memberships in Chevonte’s Houston, Texas area, it’s all hers. You also get the right to use our 200 plus unique, hand-sewn costumes, meaning you’re almost guaranteed to have the character any child would want. Another unique benefit is the access you’ll have to our casting director and acting coach, which means you won’t be sending characters who sit in the corner at parties. Your characters will be trained professional entertainers. Finally, you get ongoing business training and marketing help from Cheryl Jacobs and the Kids Party Characters team. We won’t just throw you out there and say “good luck.” Cheryl is a long-time, successful serial entrepreneur. She’s gone through the trial and error it takes to learn how to build a successful business so that you won’t have to. Cheryl’s created a step-by-step training course that shows you exactly how to start your new business and make money from the beginning. If you’re interested in bringing joy to children in your area of the world, book a no-pressure call with Cheryl right here and she’ll answer all your questions and help you figure out if Kid’s Party Characters is the right opportunity for you. Whether you’re an experienced entrepreneur looking for a second income stream, a stay at home looking for a business you can run from home, or a single mom like Chevonte looking to make a difference to children, your very own Kids Party Characters business could be just the answer you’re looking for. Set up your call today and let Cheryl help you get on the right track.